Imagine your child/grandchild being dropped off @ school and or a family court ordered visit and never return. Our founder, now a law student, going for her juris doctor/law degree, expertise in such field of suing pro-se (the right way) has experienced just that. Only difference is she fought BACK and prove you can win against a cps employee when suing by deadline(correctly) and pro-se." Below is public knowledge thanks to media,news covering,airing such lawsuit,clearly multi-violations involving multiple DCF state employees." ​A 4th Amendment Lawsuit against Department of Children and Families LIABLE caseworker who withheld pertinent information clearing parent, a conspired act that has come to light,for a jury to review/assess and adjudicate by a FEDERAL judge as a caseworker knowingly, and or recklessly,willful, with malice, hid such, buried the report(s) clearing parent, buried and or withheld knowingly such truthfulness insofar as the status of the child, while she was taken into state custody " 13 DAYS ..." without a court order, judicial authorization,or necessary warrant for just about two weeks, as case law wholly support, is a 4th amendment clearly-established, well settled, violation of one's 4th amendment right. 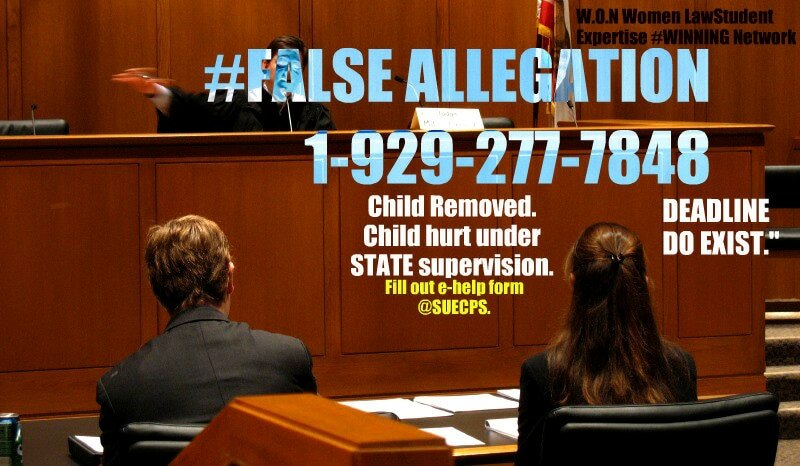 if placed in the defendant's position,would have done the same thing, when you're having the facts below, clearly prove there was absolutely no abuse, no substantiated incident of abuse, nor neglect, and how the state DCF workers, all knew it, documented such in a withheld internal CPS file and then appeared in court, while kids were "waiting to go home at only 10 and 7" knowingly lied, falsified, and hinder such significance for the next several years, shocking the conscience of many reasonable minds weighing-in. As a result, the gruesome injuries, violations to the girls continued taking place for almost a decade. Accountability is near, thanks to the U.S.District Federal Court + a suburban astute prudent parent who never ever looked back, never gave up and sued and her family filed suit just in time, by deadline." "No reasonable person in the worker's position could think that 2 little healthy girls would come to harm,in the time it would have taken to procure the warrant, court order et.al., to seize the children 14 (yes, you heard right everyone) FOURTEEN days. >Reached. No call/no visit to go see mom immediately from July 3rd, 4th and so on. Yet, DYFS knew protocol procedure insofar as investigations involving a potential abuse and or neglect incident, this is "clearly-established, and DCF employees know it." >Not spoken to the entire week,going on week number two everyone. 1-929-277-7848. Now,let us move on(As a jury shall hear/review) let us move on everyone to week 2. Caseworker interview mom at length, and conducted a walk-through of her lovely 1 family bi-level, house owned by mom. The state employee, on July 9th/10th(even at this time) entering week #2, the state still was NOT able to substantiate child abuse/neglect, not on any level. Again, this is documented,and on the record. 14 DAYS, the state agency kept two little healthy girls, who the state had visited/seen/examined and even made reference, in their own memorialize report lengthy(four pages) that the state agency CANNOT substantiate child abuse by the mother, not even a neglect indication,nothing can be substantiated against custodial parent. Stories shifting like quicksand amongst number of caseworkers, social workers and their own supervisors taking part in such as the facts shall prove at any reasonable jury level involving a little girl who suffered the most gruesome injuries since age of removal. New Revelation,after revelation,there has been mis-truth, after mis-truth, perjury to a material fact,lengthy, to mis-characterizing and hindering such facts,on the child's condition for almost eight years, since the child was violated of her 4th amendment right to NOT be seized/detain on July 9th,10th and prior July 3rd,July 4th,5th,6th and every other day the state had the child without the authorization from a judicial; or a warrant to place the children in state custody. 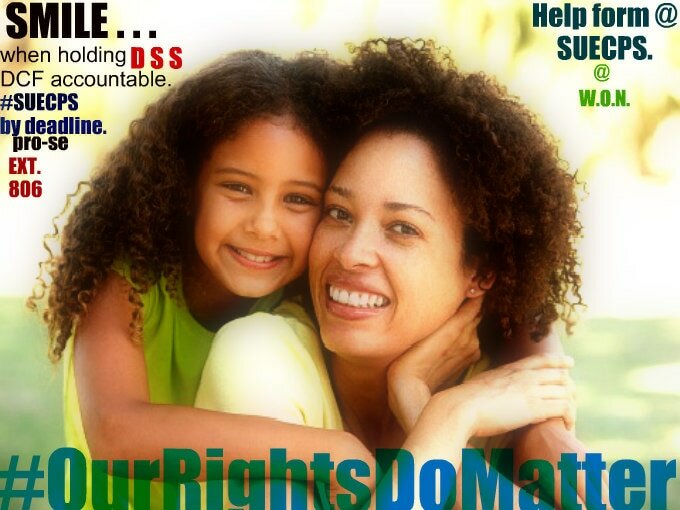 holding that immunity from a civil rights money damages lawsuit against DCF, turns not on the DCF employee's title or agency, but the "specific social worker/caseworkers, on the nature of the actual function that the person(caseworker assigned) was performing. Good luck to everyone suing as our founder astutely has done(timely) by deadline, and holding dcf ACCOUNTABLE. same-day POWERFUL educational 1-on-1 on suing child protection agency worker by DEADLINE ... and call after implementing."